Ok many times I get way off the beaten path of “common sense preparedness”, however sometimes you just need to live a little and have some fun. 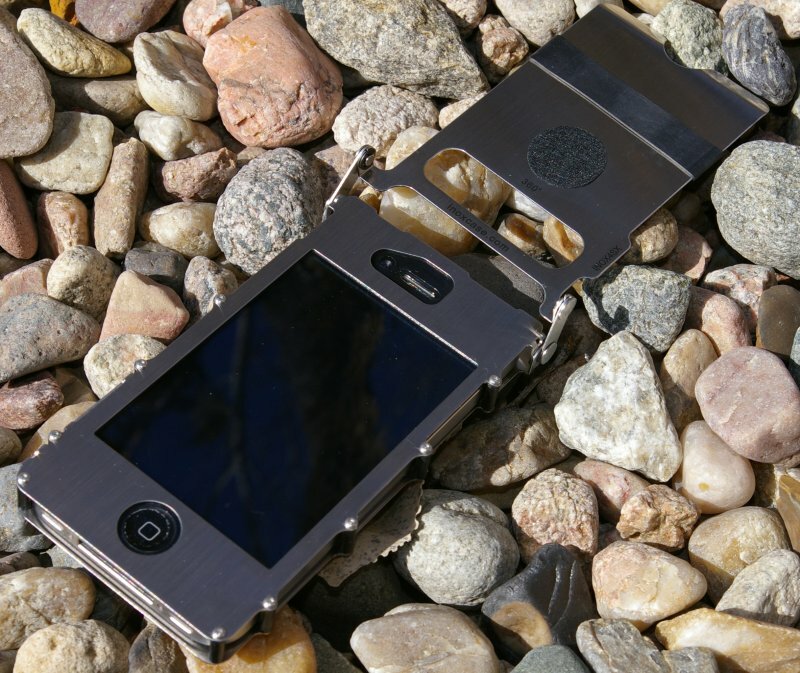 As I was trolling CRKT’s site for the newest knife introductions, I saw they were featuring their new CRKT iNoxCase 360 Stainless Iphone 4 Case. I thought, hey I have an Iphone 4 with a disgustingly used and abused case, perhaps it is time for a change. I apparently nodded off and hit the keyboard with my head in such a fortuitous way that an order was completed and a package arrived with several new knives and the new iNoxCase 360 iPhone case. One of the main reasons I ordered the case was that I am hard one phones. Most phones end life being dropped or crushed with an occasional drowning, so my hope was that this inox stainless steel case would hold up. 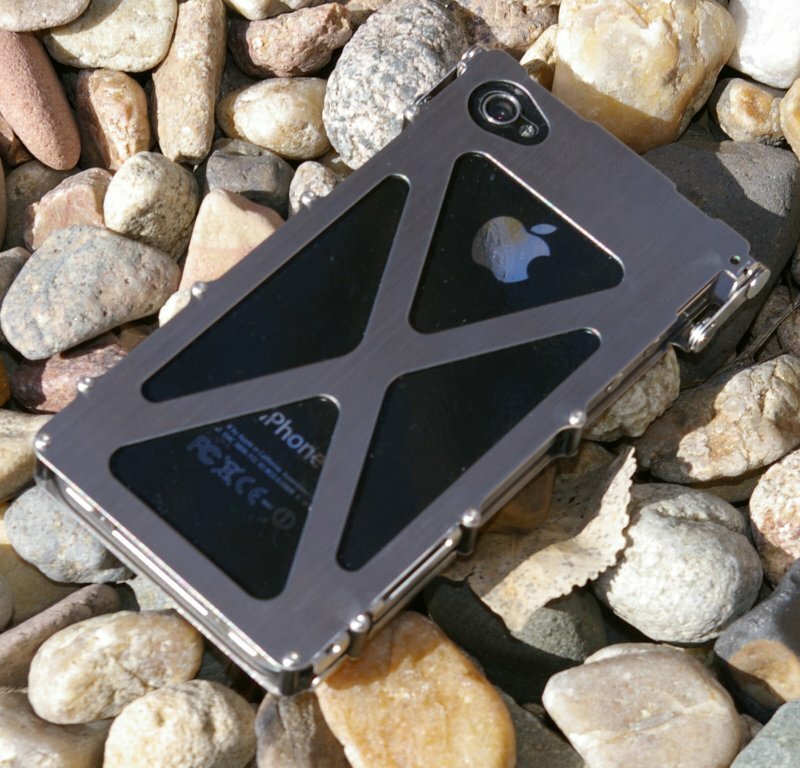 That said stainless steel against the face has never been exceptionally comfortable as is the case with this case. My wife calls the price of style. 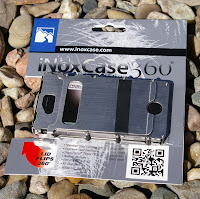 The iNoxCase 360 is exceptionally cool looking, and has garnered me countless looks and a few questions of “what is that?” It is an attention getter, however to be honest, you better use you Blue Tooth headset almost exclusively, because this light weight stylish and durable case it is not exceptionally comfortable being held at the ear. Installation was simple and easy. 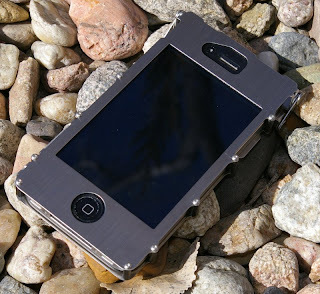 The case includes a screen protector which is required for use. If you have another screen protector installed, you can use that, however a screen protector is required since the cover is stainless steel and could scratch your screen. 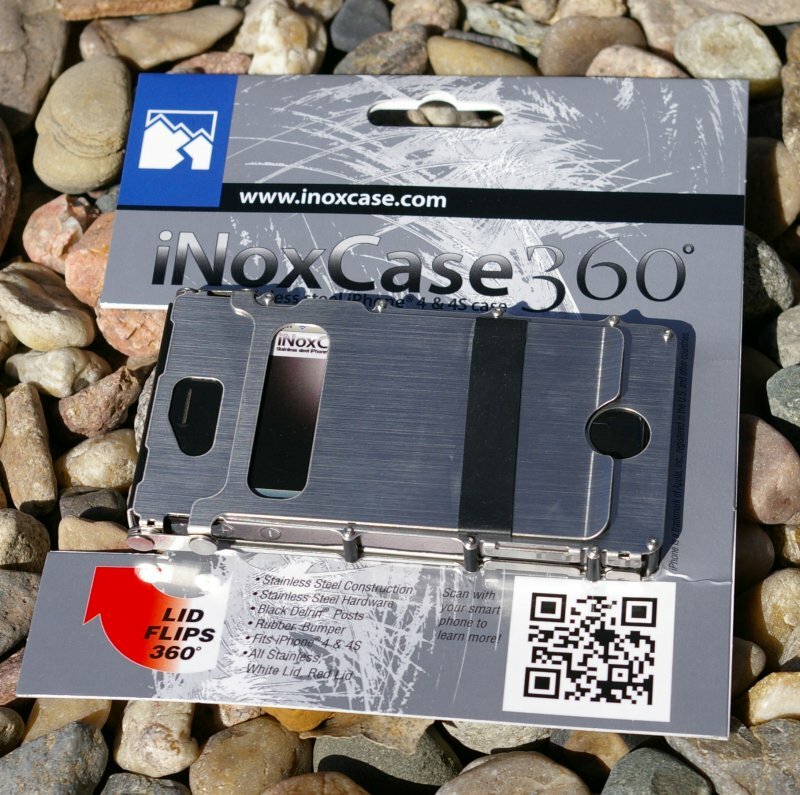 Once the screen protector is installed, loosen the machine screws with the included micro torq wrench and slip your iPhone 4 into the iNoxCase 360 and re-tighten. 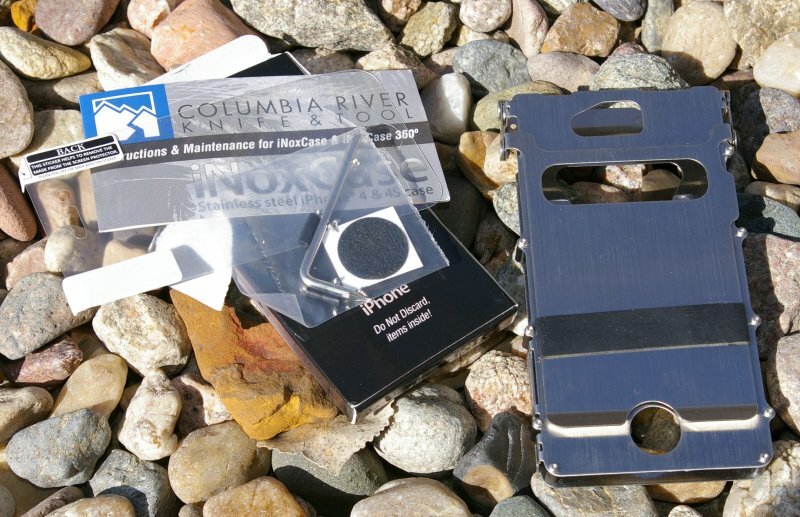 Now your iPhone is inside a little stainless vault with a stainless flip top cover and looks cooler than your old case.If you strip or loose any of the little screw or polymer standoffs, no problem, CRKT includes extra in the package. The features of the case include the flip top cover which rotates 360 degrees from closed over the screen to completely flat behind the phone, a credit card/money band which also keep the cover from banging into your screen and cutouts for unhindered access to the charging and headphone ports. Other cutouts are for the cameras and badge display area which prevent you from having to open the cost just to see who called. 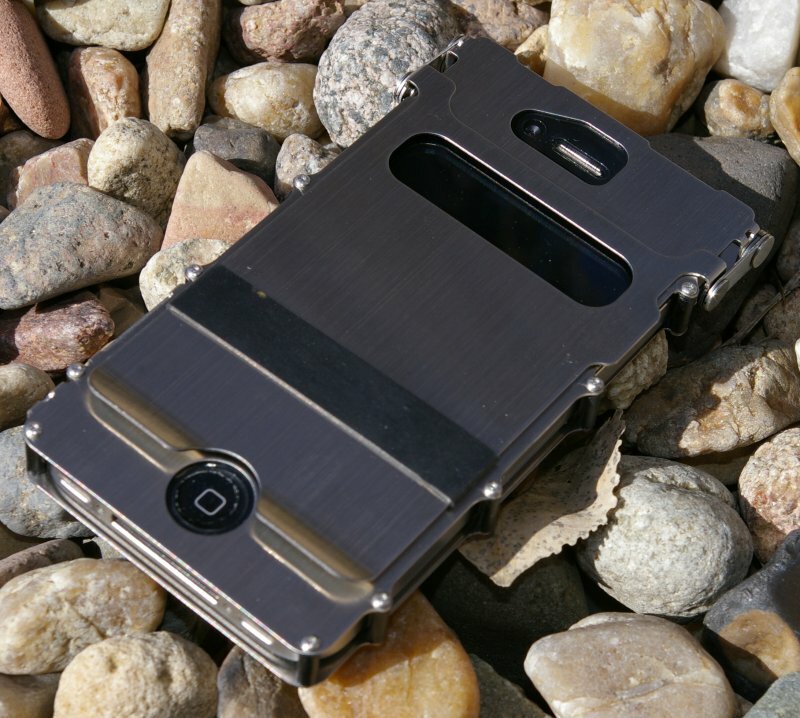 Now the bad news, for me this iNoxCase 360 case cut my 3G cell and wireless signal strength by a solid 1-1.5 bars. Not a huge deal if you have good coverage like I do, however if you frequent the fringe of coverage areas this may become annoying. It’s called a partial Faraday cage folks, nothing you can do about it and every cool looking metal case will do it… “so is the price for style”. I personally do not care about the signal strength issue or the discomfort holding the phone to the ear because this case looks so cool. I know it makes little sense, however the coolness offsets the inconveniences. 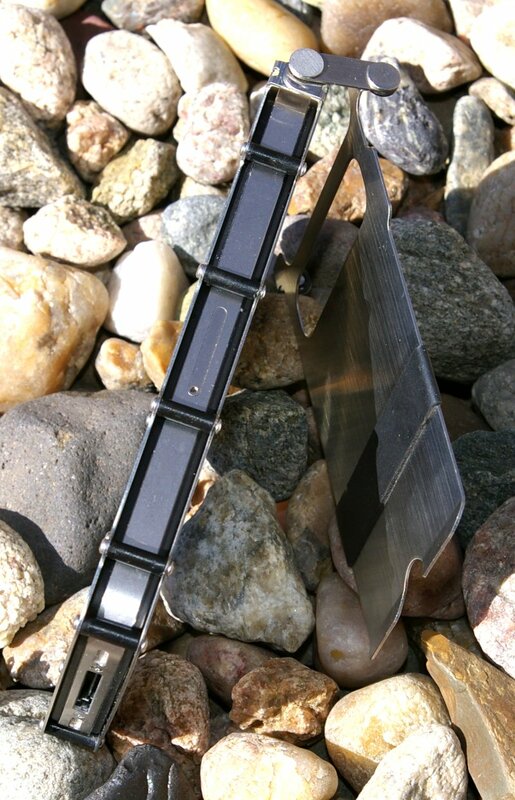 This case will provide very high impact resistance. Yet again only a week after I have this case installed the iphone goes for a tumble down a set of concrete stairs. The phone was unscathed, however the case required some plyier bending and reapplication of a finish with a Scotch Brite pad to look and perform good as new again. I you are looking for a very cool iphone case, I can vouch that this will grab attention and provide a high level of protection from impact or crushing, just know that your reception may in some cases take a hit for the price of cool and protection. Finishes - Silver, Red, or White lid, available on Silver body. i ordered the older version of this product, which only allows the cover to flip back and stand straight up. it doesnt lay flat and cant be used as a stand. that being said, i was wanting to hear an opinion, from someone that owns the similar product, on removing the front cover.